Helps the body produce mental and physical energy. Purchase this product now and earn 1,950 Reward Points! Provides a more bioavailable form of L-carnatine and helps the body produce energy. Hypoallergenic. Gluten and casein free. Capsules are plant based. Ultra Tested®. 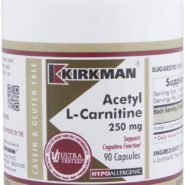 Acetyl L-carnitine can help increase energy production in the mitochondria, which may boost both physical and mental energy. 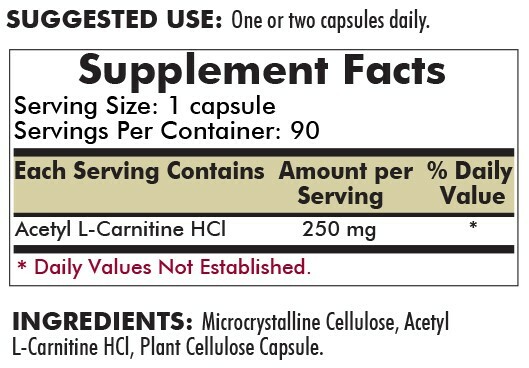 This product offers 250 mg of Acetyl L-carnitine in hypoallergenic capsules. 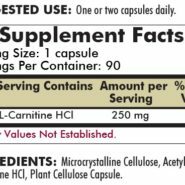 Also known as ALCAR, Acetyl L-carnitine is synthesized to provide a more bioavailable form of L-carnitine, which is a derivative of the amino acid lysine. It offers antioxidant activity and promotes the production of glutathione. 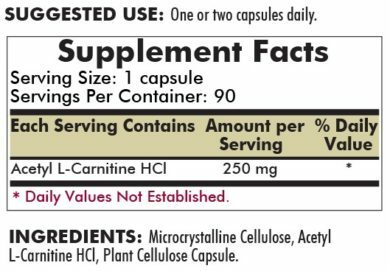 L-carnitine is made naturally in the body by the liver and kidneys, and then transported to other tissues such as the brain and heart. 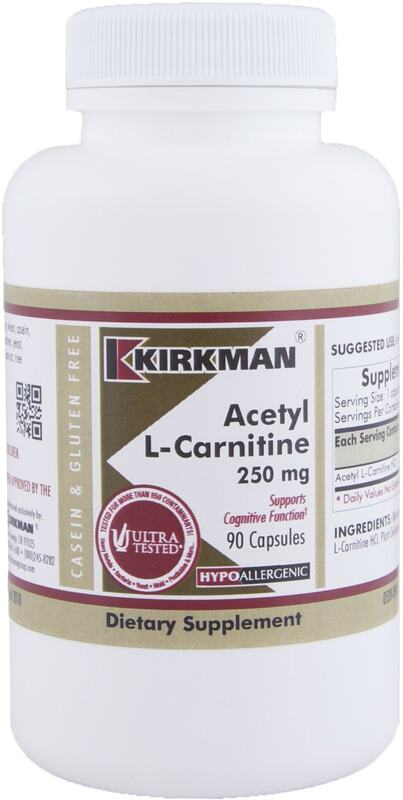 Like L-carnitine, acetyl-L- carnitine functions as an antioxidant and promotes the production of glutathione. FREE OF: Sugar, starch, soy, wheat, casein, gluten, milk, corn, egg, preservatives, yeast, gelatin, flavorings, colorings, peanuts, tree nuts, fish and shellfish.